As promised, here is a tutorial on how I made my wreath with the September Paper Pumpkin Kit: Wickedly Sweet Treat! 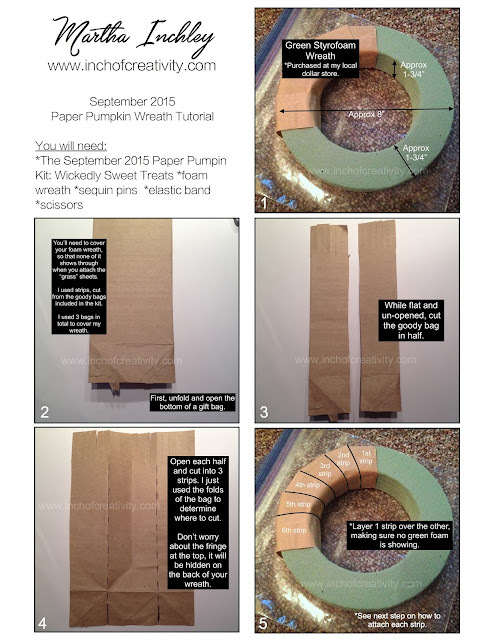 I organized the tutorial in a 8-1/2" X 11" format, so you can copy and print it out. Hopefully that works. I wanted to make it a downloadable PDF, but my website won't allow me to post a file. Also, I would like to apologize for the poor quality photos. 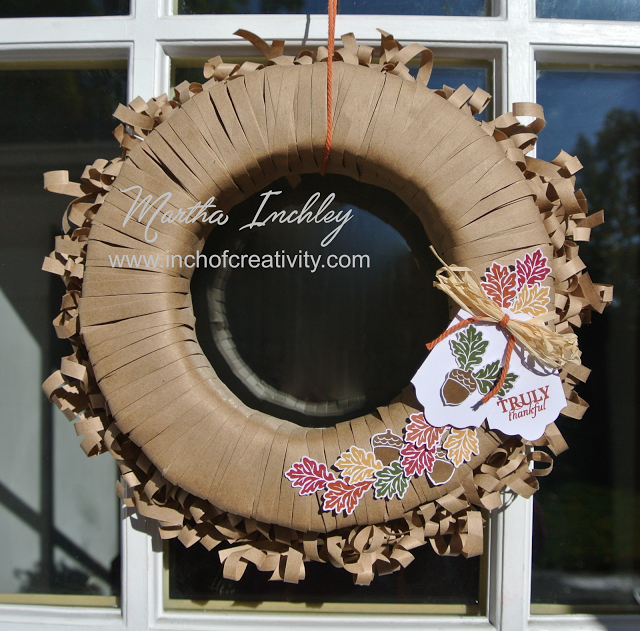 I created my wreath over the Thanksgiving weekend, when I had family over... I did't want to be rude and run off to my craft room, so I crafted on the floor while we watched a movie. Needless to say, the TV was not a great light source! One more thing before we get to the tutorial... I just want to say THANK YOU! I am certainly feeling the love! 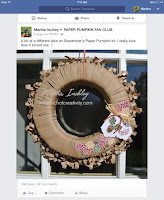 After posting here on my blog, I decided to post my wreath in a new Facebook Group called Paper Pumpkin Fan Club... and o-mi-goodness! I thought it was going to break my Facebook notifier! 356 Likes and 68 Comments later... Thank you! All of your wonderful comments and likes keep me motivated to continue to think outside the box! 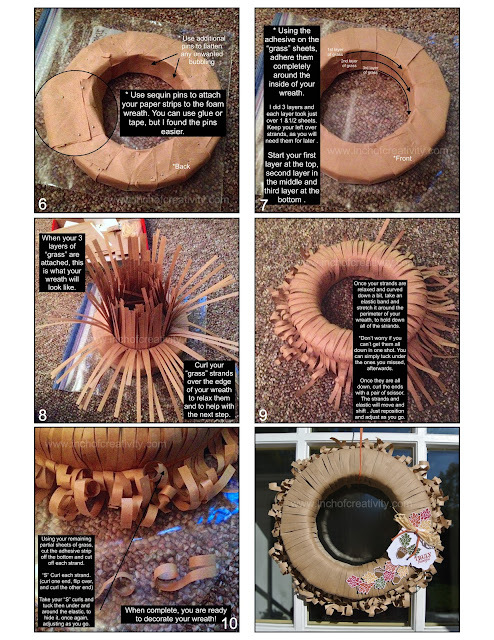 With out further adieu... the wreath tutorial! Happy creating!